I Love You So Mattes! Pardon the pun but really, these new Maybelline Color Sensational Velvet Matte Cream-to-Matte Lip Color lippies are super fun to wear and layer over and over! Boasting of 9 vivacious shades in winsome and convenient lip tubes complete with lipstick applicator, Velvet Matte punches absolute matte, vivid colors with its anti-shine powder and velvety smooth finish thanks to its ultra-light Velvet Gel formula. Combined with specially formulated nourishing paste, it prevents lips from looking flat, dry, and chalky all day long. MAT6 and MAT12 are soooo pretty against the Filipina morena skintone! Packaging’s the bomb — no need to second guess what’s in the tube. 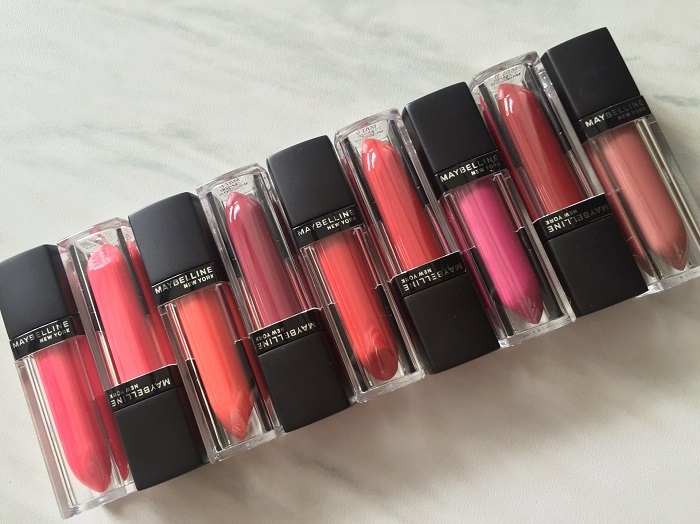 Very chic like MAC lip glosses. 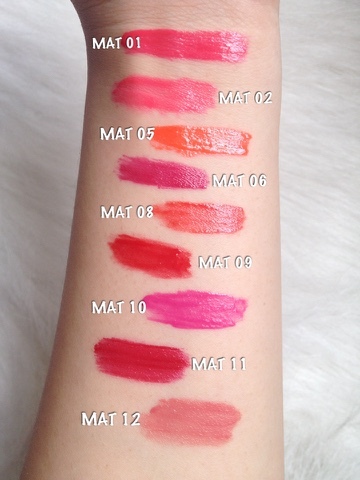 Fantastic color selection — they’re fool proof and almost true to skin swatch. Very buttery, light, and comfortable to wear. Inexpensive at Php 349 (Php 299 intro price) — collecting them all won’t break the bank! The only con I have is the wear time. To be fair to the product, I speak a lot at work and drink from the mug/glass throughout the day. Given my activities, I usually have to reapply every 2-3 hours. Not the most convenient if you run from meeting to meeting, still like yours truly.